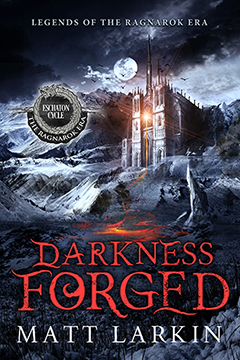 A while ago I finished reading this sequel to The Darkness That Comes Before, and I’ve been remiss in delaying my review. Because it’s hard to even know what to say about it. After reading two of his novels, I think R. Scott Bakker might now be my favorite author. Like the first book, this one is dark — sometimes veering into outright horror — thought-provoking, and philosophical, while exploring a political conflict obviously inspired by real-world history. This one gets into the actual Holy War (Crusade) and there are segments that rely the war in broadstrokes (omniscient narrative) that might be off-putting to some readers used to the deep 3rd person immersion otherwise present in the books and common in most fantasy these days. … and here is what really resonates … because they go on killing each other while steadfastly rejecting evidence before their very eyes of greater threats when that evidence does not mesh with their preconceived views. While they stick their fingers in their ears and pretend the Second Apocalypse isn’t on their doorsteps. It’s all just plots and schemes by the other side, right? So they rationalize away things that should not be. The obvious exception is Kellhus, who is at once, the most compelling and the most horrifying character in the book. His conscientious amorality and lack of empathy, combined with frighteningly honed body and mind, create a superhuman monster, that bring to mind shades of Nietzsche’s superman. And yet, I could not look away. Like the masses enthralled by his intellect, I found myself constantly drawn back to Kellhus, always wanting more of his scenes. While my work is currently requiring me to read some other titles, I’m very eager to dive back into this world.